These are a variety of bookmarks I made for my grand children. 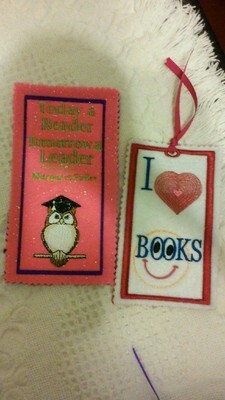 They enjoy reading and also reading what's stitched on the bookmarks. These will be stocking stuffers. I was ask where to find owls. The owl with graduation hat was free, can't remember where and I don't always list the site, sorry. However, I purchased owl bookmarks from Designbysick. All of their owls are very pretty. 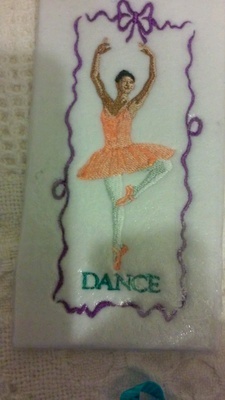 The dance design from Embroidery Library. The hearts and smiley face were free. The Kolter bookmark was a cougar paw that I had from years before and I substituted it for the o in rock . These are awesome! I love to hear about kids that love to read. See my comment regarding the designs-owls. they will love them ! A great collection of designs! I can see where you tried make them special for your grandchildren. Great work! Great work. They are all beautiful. Hope the kids love them. All the designs are terrific, well embroidered. Kids do just love these, have made many from felt. Sandra. You've been a busy girl! 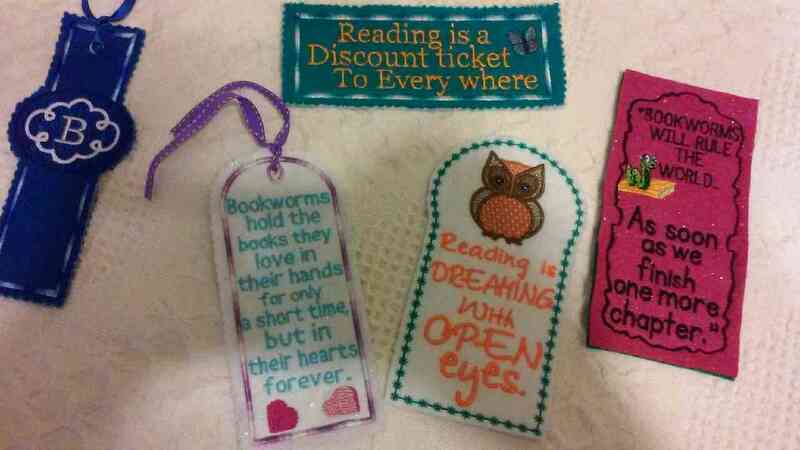 Love the one that says Reading is a discount ticket. They will love them! I do. 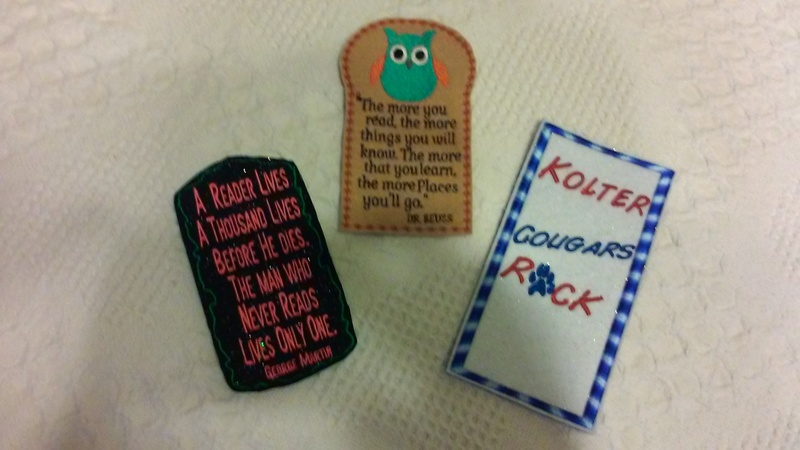 Love to hear about kids reading books...they will love these...well done! All of them are great. . My favorites are the bookmarks with the owls. Love hearing of kids reading. These are great looking and they are sure to love them.